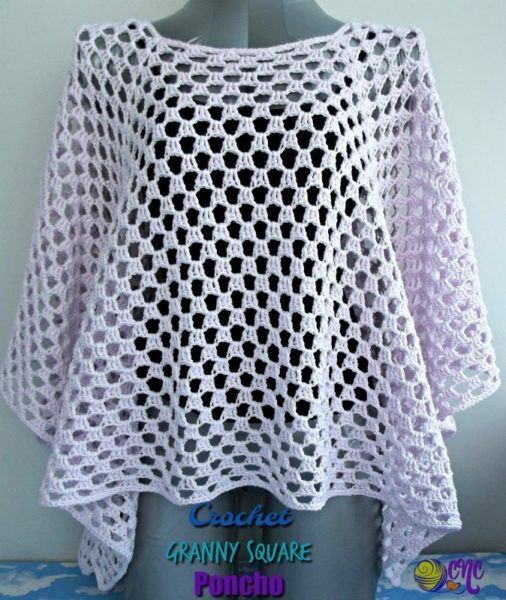 Here is a crochet granny square poncho pattern to help keep you comfy in the upcoming spring and summer weather. Between the cotton and open stitch pattern, this crocheted poncho allows for a nice breeze to prevent you from overheating in the warmer weather, while adding a nice touch of warmth. 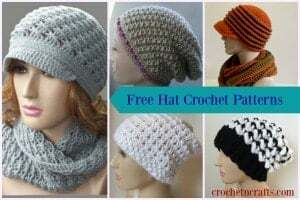 For this design, I used the granny stitch, but with a few chains in between the double crochets to give you a nice open lace for the summer, or any season. You can wear this granny poncho over a long-sleeved sweater to keep you warm in the spring. And in the summer, it makes for a lovely beach cover, or a cozy wrap for the cooler summer evenings. And it’s lightweight, so it’s easy to pack without taking up all that much space. 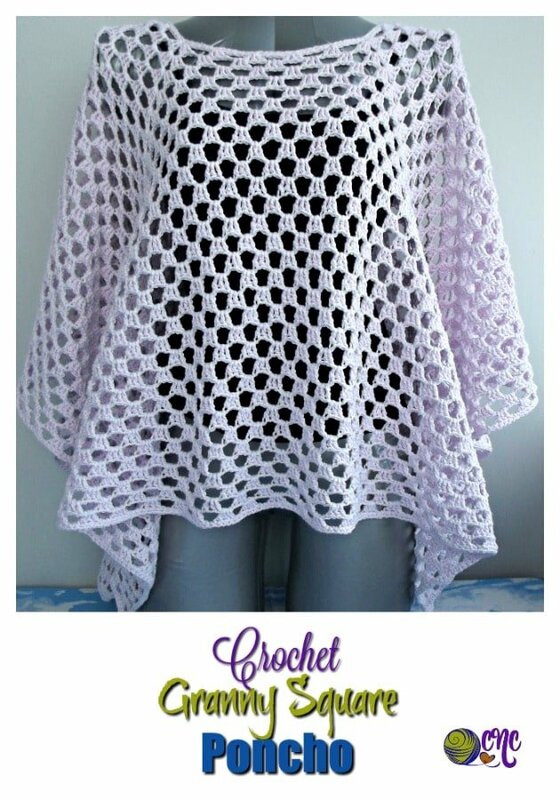 You might also enjoy the simple summer poncho, which is also light and perfect for the summer especially if crocheted in a cotton material. Another recommendation would the roundup for Crocheted Summer Ponchos. It’s a like a cozy blanket that you wear over the shoulders. Really, it’s just a big granny square blanket with an opening for pulling over your head. And the four corners give it a luxurious flare at the bottom. It’s simple, yet elegant and perfect for any occasion! Another beauty is the DK cotton yarn, which resulted in a beautiful drape of the fabric. However, any yarn will work, including thicker or thinner yarns, because the neckline and length are easy to adjust to fit all sizes. Instructions are provided further down on how to modify the neckline for a custom fit. As for the length, you simply continue to crochet until you have reached a desired length. Crochet it long for an adult and shorter for a child. Just remember to block once it’s finished to get an even better drape and length. To block this, I wet mine down and then laid it flat on the floor on a blanket and let it dry. You can use pins to hold it in place as it dries. Best of all, this is a mindless crochet pattern once you get past the first few rounds. The stitches are worked into the chain two spaces, which allows for easy stitch placement. Hence, it’s the perfect pattern to work on while watching TV. Gauge: 8 sc = 2″. Neck circumference is approximately 25″. From neckline down is about 19″. The poncho is worked in the round like a square blanket with a hole (neck opening) in the middle. Each side measures approximately 45″ after blocking. This poncho pattern is easy to adjust in size from neckline to the final length. The neckline is adjusted in a multiple of 20. Then make necessary adjustments in Rnd 2 for the corners to be evenly spaced out. Ch 100 (or any multiple of 20) join with sl st in back bump of first ch making sure there are no twists in ch. Rnds 4-32: Rep Rnd 3 until you have reached a desired length. Rnd 33: Ch 1, sc in same st as join and into next 2 sts, *3 sc in corner ch-2 sp, [sc in next 3 sts, 2 sc in ch-2 sp] rep up to corner; then rep from * around; join with sl st in first sc. [724 sc] Fasten Off. 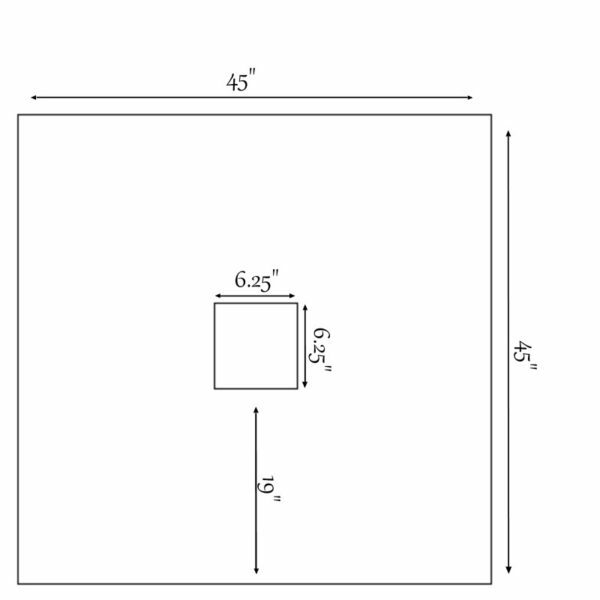 Block to dimensions below. To block, simply wet the poncho down and stretch it out over a blocking mat, a big blanket, or even a few towels. Pin the edges in place with rust-proof pins and allow to dry completely. So there you have it. If you need it longer, you can always continue to do more rounds until it’s the desired length. Can’t wait to start on this poncho. Looks lovely. I think I missed something. How is the neck opening created? Hi Wendy, You start off with a series of chains that you join together which creates the neck opening. The poncho is worked from the neck down. Teen or Adult small. It is modeled on Adult Small. Hi Del, I’m so sorry I accidently deleted the print plugin while trying to clean up my site. It should work now to print, but let me know if you still have problems. Hi this is a beautiful pattern. Is it 4 corners or 3. For some reason I got 5 corners. I am doing the clusters 4 times correct? I’m not sure where I went wrong. Would you mind sending an image to [email protected] of what it looks like? Sorry I’m not able to help if I can’t see it.